What better sent to remind you of the holidays than cinnamon! Cinnamon buns, apple cider, dessert, donuts and tea – perfect ways to incorporate cinnamon into every day cooking - especially at Christmas! Cinnamon is a spice that is taken from the inner bark of several trees in the genus cinnamomum. The trees are native to South East Asia and take back to 2800 BC. The largest producer of cinnamon today is Sri Lanka who accounts for about 90% of the world’s cinnamon! Harvesting cinnamon is kind of cool – the trees are grown for two years then coppiced (tree is cut down to near ground level to encourage new shoots to be produced). Dozens of new shoots will form from the roots and then the branches are processed by scrapping the outer bark off, beating the branch evenly with a hammer to loosen the inner bark. The inner bark is then pried out into long roles, only the inner bark is used as it is the thinnest part, the bark can also only be processed when still wet! Nothing beats walking into a house of a snowy day to the warming and soothing sent of cinnamon. Pure coziness and warmth is what cinnamon is to me! Here are some fun ways to incorporate cinnamon into your cooking other than the typical cinnamon buns! A lovely spread for toast in the morning, brioche, pancakes, scones or even as a rub for a chicken breast! - Combine the butter, honey, cinnamon, and salt in the bowl of an electric mixer fitted with the paddle attachment. Serve at room temperature. - Place apple cider and spices in a large pot over medium heat. - Bring to a boil an allow to simmer for 15 minutes. - Ladel Spiced Apple Cider between four mugs. - Place 1 cinnamon stick and 1 whole star anise in each mug. 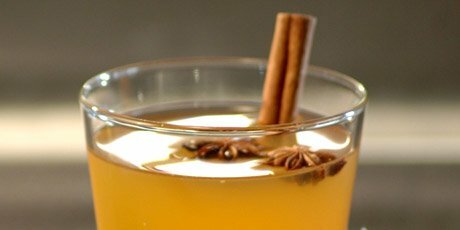 Note – This Spiced Apple Cider can be refrigerated and enjoyed cold as well! I love cinnamon! It can be added to so many things to jazz up the flavor and make it taste so much more festive! I love adding a stick of it plus some cloves (but remember to fish them all out before serving...) while I'm making cranberry sauce for Christmas dinner. 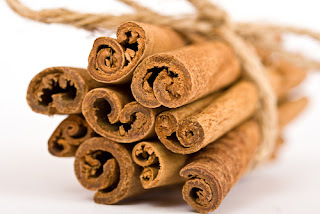 I also read on the weekend that cinnamon has some pretty great health benefits including lowering cholesterol, helping arthritis and aiding digestion. So basically I'm considering adding a spoonful to everything I eat! I love cinnamon too, nothing better than walking into a cinnamon aroma scented house! It's so delicious in apple cider - that's really interesting about the health benefits though, thanks for the heads up!